It all began at Shoreham, Sussex in 1890 with the birth of Hubert Scott-Paine. At an early age he became interested in aviation and spent many hours at the local aerodrome where he chatted to aviators and learnt about their machines. He became friendly with Noel Pemberton Billing another local resident with an interest in aviation and in 1913 they opened the Supermarine factory at Woolston, Southampton. Many successes followed including triumph in the 1922 Schneider Trophy Race with the Supermarine Sea Lion II. He sold his interests in Supermarine in 1923 and by any terms was then very wealthy. 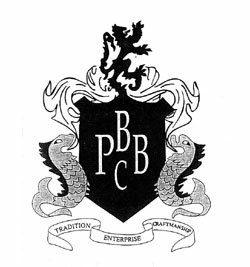 In 1927 Hubert Scott-Paine bought the Hythe Shipyard and the British Power Boat Company was born. A keen sportsman, the first craft built were racing boats and fast cabin cruisers. His MISS ENGLAND racing boat won the World Championship from MISS AMERICA, at Daytona Beach in 1929. His experience of hard chine planing hulls as used in racing made him realise that there was a military potential for this type of craft. The Admiralty were not interested at this time but the RAF borrowed one of his cruisers to see if it would be suitable as a seaplane tender. From this came an order for a prototype Seaplane Tender numbered RAF 200, a 37/2 ft craft and was delivered in March 1931. The trials were conducted by Aircraftsman T.E. Shaw (the famous Lawrence of Arabia) in the Cattewater at Plymouth. Shaw and Scott-Paine then entered into a collaboration which was to be of great service to British Power Boats. After successful trials and Shaw promoting the new craft, the RAF followed up with further orders for the 37Y2 ft ST (like ST 206) and even the Royal Navy eventually placed orders for similar craft for torpedo recovery and flag barges. The craft was also successful as a fast cabin cruiser, under the type name Sea Monarch. Throughout the 1930's success continued with cruisers, racing boats and new classes of military boats. These included for the RAF, the 100 class HSLs (see HSL 102) and both the 40ft and 37V2ft Armoured Target Boats as well as the 16ft and 18ft planing dinghies, and for the Royal Navy several types of Fast Motor Boats and Flag Barges (see TARGET) and their version of the 16ft dinghy, known as the 16ft FMD. The private and commercial business was in full flow, with numerous types on offer, which included cruisers such as the Sea Lord and Sea Emperor, tenders for Imperial Airways, a 3714ft craft Island Enterprise for Red Funnel, a 45ft Armoured Customs Launch for China and even a 3714ft seaplane tender for the German flying boat base. Pleasure craft included the 35ft Sea Flash and the 20ft Sea Arrow (see Sea Arrow). In 1935 the company received the first orders for MTBs for the Royal Navy. The 64ft type were thus numbered MTB I through to MTB 18, with later units being redesignated as MASB 1-6. On the 6th November 1938 the PV7O was launched and saw the start of a successful 70ft type MTBs and similar hulled MASB craft. With war clouds rising, production of military craft for all three services was stepped up and contracts to build types under licence were negotiated with ELCO in the USA, Canadian Vickers in Canada and the Cockatoo Boat Company in Australia. During WWII some 954 craft were built by the Hythe and Poole factories and 476 craft in the USA and Canada. The WWII craft included the 7114ft MGB/MTB types (See MGB 81), and more of the same pre-war types for the Royal Navy, 24ft Marine Tenders and 4114ft Seaplane Tenders for the RAF (see 1502 & 1510) as well as the infamous 63ft HSLs (see HSL 142) and later the 68ft "Hants & Dorset" HSLs, the very similar 68ft Battlefield class High Speed Target Towing Launches (HSTTL), the 50ft Dickens class General Service Launches (GSL) and the 4414ft River class Fast Launches (See Avon & Humber) for the Army. The production of 1214ft Queen Gull targets continued at the Marchwood Facility (See Queen Gull). The RN had some of these craft as well, but also some larger target craft such as the Queen Pelican and the Queen Duck. Added to all this building activity, the company also carried out repairs to war damaged craft and also continued to develop prototypes for the war effort;- these included the 111ft LRRC which was built but never used and a design for an airborne lifeboat. There is also evidence of craft types in drawing form only, used for tender purposes, however it appears the orders and the craft were subsequently built by rival companies. Hubert Scott-Paine spent the war years in America and stayed on at the end of hostilities. He suffered a stroke in April 1946 and after a long illness died in April 1954. The production of boats at Hythe had much reduced after the War and the decision was taken to close down the yard late in 1946. The Army launch HUMBER was one of the last craft to be built by British Power Boats.